When Lord Curzon announced the the decision to partition Bengal in 1905, little did he know it would lead to the rise of the first “Swadeshi” movement. The movement used the weapon of swadeshi or indigenousness to economically cripple the British government and to promote the ideal of self-reliance. The nationalist movement spread to the sphere of art, and artists soon began to use swadeshi as an ideology to revive Indian art. As part of the Swadeshi movement, many indigenous industries and enterprises were set up. Indian art and music flourished, and soon became a source of national pride. Artists during this time period were looking to develop a unique idiom of modern art which reflected the spirituality of the east as opposed to the materialism of the west. Indian art began to be seen in a new light as scholars like Ananda Coomaraswamy, Sister Nivedita and E.B. 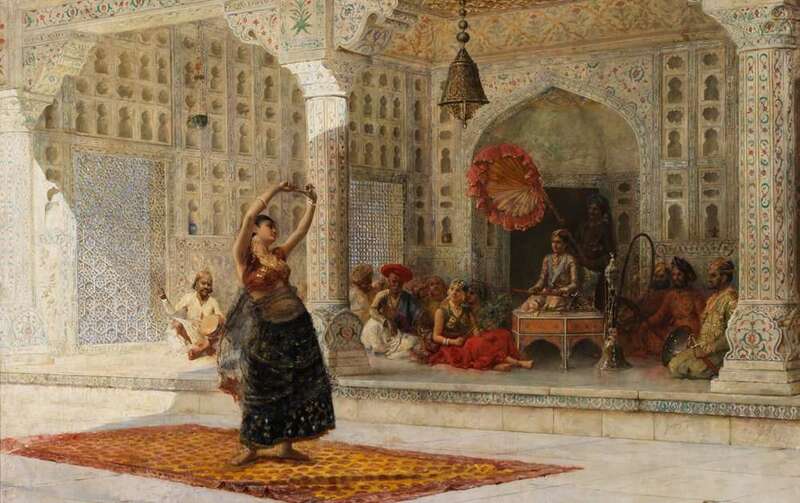 Havell studied in detail the ancient and medieval traditions of Indian art. The art of the ancient and medieval period, especially the art of Ajanta and the Mughal miniature painting tradition inspired the artists of the time. Western materials such as oils were rejected in favour of eastern techniques such as the watercolours, inks, and the Japanese wash-paintings! The country Bharat is imagined as a Mother which gives- Food (Anna), Cloth (Vastra), Education(Shiksha) and beads of Salvation (Diksha) to all its children born in their motherland. The leader of the Swadeshi movement in art was Abanindranath Tagore, who also led the Bengal school of Art. To oppose the partition of Bengal, Abanindranath painted the Banga Mata in 1906. He changed the name of the painting later to Bharat Mata. Bharat Mata personified a Bengali woman as a deity who was the mother of the nation. He painted her with four attributes that were seen as objects of nationalist goals. These were food, cloth, learning and spiritual knowledge. the recent past of Indian history which was being seen to be glorious. The grandeur of the Mughal rule was also evoked and a homage to the Mughal miniature tradition was paid to by Abanindranath in this painting. all across the country in the form of posters and calendar art. His subject matter for painting was Indian but his technical style was academic realism. Ravi Varma was thoroughly criticised by the next generation of artists including Abanindranath Tagore. The spirit of nationalist fervour was instilled in the disciples of Abanindranath as well. Nandalal Bose was one of his pupils who imbibed the spirit of swadeshi in his art. On the insistence of Gandhi, Bose painted a series of posters for the Congress Committee’s Haripura-meet. Nandalal used handmade paper to produce scenes from the lives of indigenous people. Along with his disciples, he created a series of paintings which invoked and celebrated the spirit of Indian life and indigenous occupations. These posters rejected western material / style and instead, used Japanese calligraphic strokes, natural colours and rural-life scenes. Nandalal’s involvement with the nationalist cause was not limited to a few works, he along with his students meticulously designed each and every page of the Constitution of the country upon independence. The Kalighat style of painting emerged around the Kali temple in Calcutta simultaneously. The immense popularity of the temple drew devotees from all over. Artisans and craftspeople from nearby centres migrated to the area around the temple and started producing cheap souvenirs on mill made paper for the devotees. These patuas or scroll painters were accompanied with potters, wood workers and other artisans and infused their traditional knowledge with European techniques to create a completely new idiom. Religious themes (Oriental art) were the primary subject matter but the contemporary society (Occidental art) – especially the babu culture also provided a great deal of visual material to the artists. Another pupil of Abanindranath who imbibed the ideal to look inwards and within one’s own culture to draw inspiration was Jamini Roy. He was particularly influenced by the Kalighat Pat and in fact, preferred to be called a patua! The influence of Santhal scrolls, and folk styles of rural Bengal are evident in his artwork. Jamini Roy used natural colours just like the indigenous artists and through his work brought to the public attention the local art and craft forms of Bengal. Trained under Abanindranath’s pupil Samarendranath Gupta, was another swadeshi artist, Abdur Rahman Chughtai. 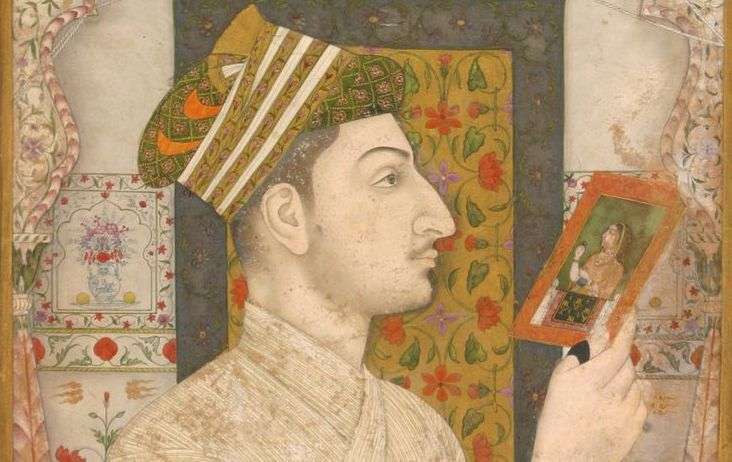 He drew his subject matter from Islamic stories, folklore and Mughal style. 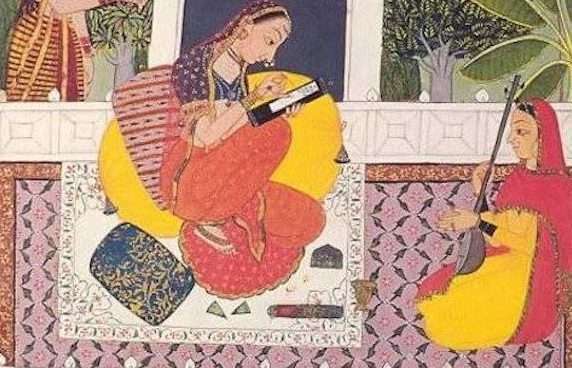 He published the book Muraqqa-i-Chughtai which was an illustrated copy of Ghalib’s poetry. Zainul Abedin also trained under the Bengal school. He produced sketches of the horrific conditions during the Bengal famine of 1943 during which hit more than two million people. His sketches were a direct result of him being witness to the famine and capture the horrors that people had to face during this famine which was a result of the policies of the British government in India. These Swadeshi artworks are hugely significant to the Indian Freedom struggle as they played a pivotal role in breaking British cultural supremacy, rebuilding self-identity and inspiring pride in indigenous practices amidst the masses. Believe in the power of art? Then go ahead, share this article! Surabhi Sharman is a recent postgraduate in History of Art from National Museum Institute, New Delhi. She has a postgraduate degree in Arts and Cultural Management from King's College, London and an undergraduate degree in History from Lady Shri Ram College, New Delhi. She is interested in history, heritage, art, culture studies and gastronomy.